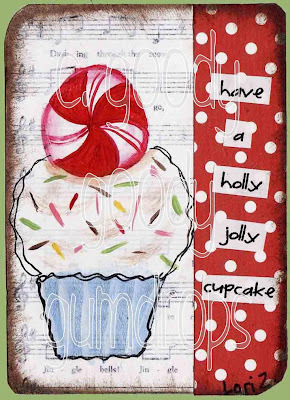 Here are some new Christmas Cupcake ATCs I created this weekend. 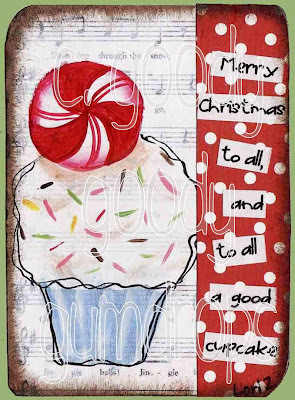 I started with sheet music featuring Jingle Bells and used that as the background. 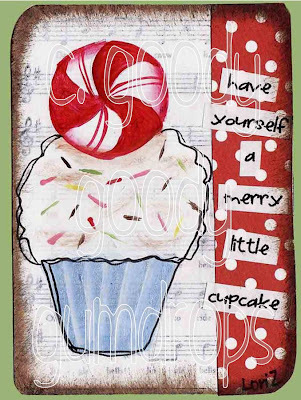 Then I handpainted the cupcakes, added polkadot paper and printed text to the side, and then inked up the edges. Sweet!